I thought you had to buy the front bumper for that? Looks like you can get them without buying the bumper. Not sure how to order them but here is what you're looking for. yeah thats exactly what im looking for, thanks alot bro, problem is, how do i order them lol. A co-worker of mine is Japanese. He is looking in to it for me, trying to find a website to purchase from. I would suggest asking Vivid Racing because they are a vendor on our forums and they are also a distributor for Wald. Last edited by ShangoAshe; 05-17-2011 at 02:44 PM. I was just going to say Vivid always has Wald kits advertised for sale on this forum so they must be able to get them for you. can he find one extra for me? I can tell you right now that ANY Wald Products will have to be ordered through exclusive Dealer. Vivid Racing as one of them and I believe Jonari is also another big company sourcing WALD products. You will NOT be-able to purchase any Wald things outside of distributor. one more thing I forgot to mention Wald only sells their products online to locals and do NOT ship international. I know this because I purchased a bunch of Wald products my self and searched forever for a distributor in north america! Possibly. He emailed the company and will buy them locally in Japan and have them shipped to our office by a friend there. Depending on the weight it might add $50-$100 to the total price. Once Wald responds to him I'll let you guys know if it makes sense. 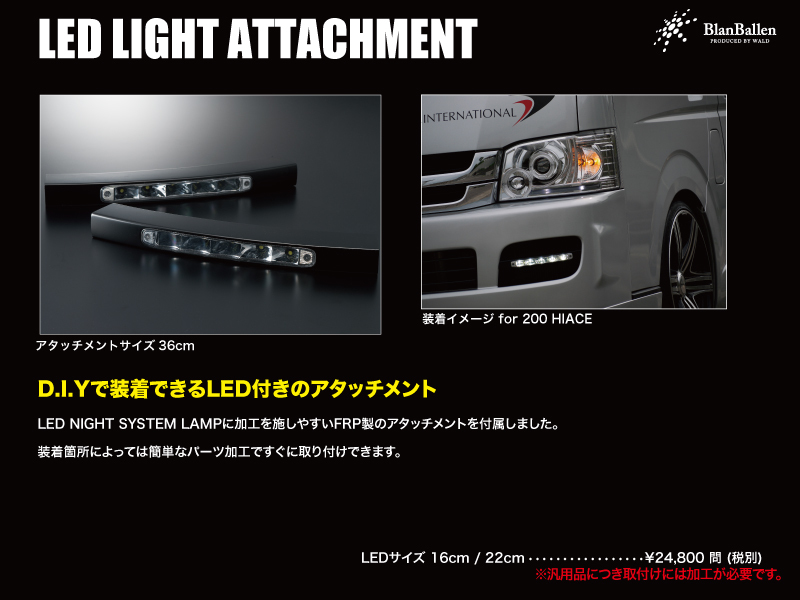 I'd also like to see if Vivid Racing can get them...might be cheaper to buy from them. Accordng to the official Wald website, Jonari is the official USA distributor. 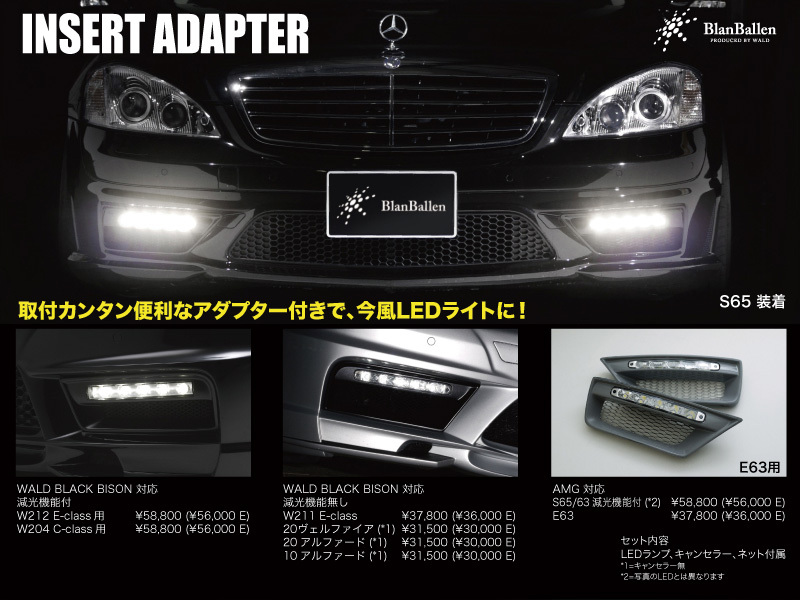 Are there different versions of WALD LED DRL light? Does it fit for E55 ? i like ALL the looks, doesnt matter which one i can find, has anybody contacted that email address? Umm, I'm drooling right now. 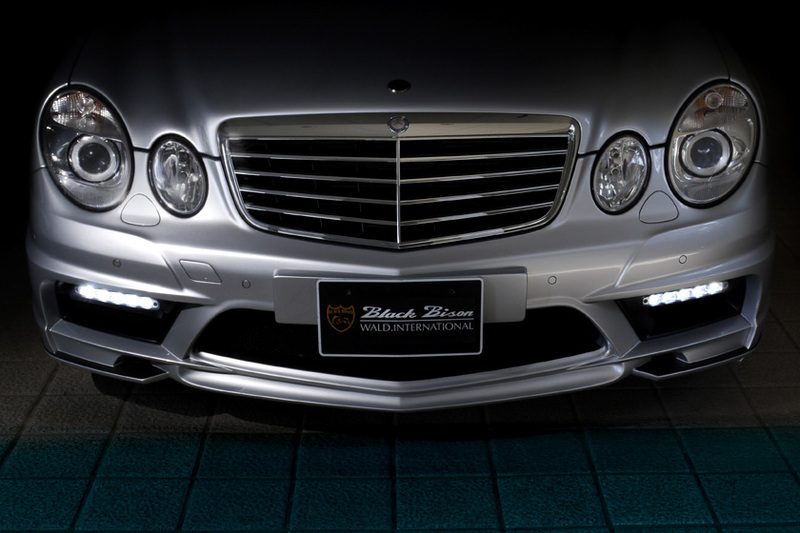 Where do I find the E class front bumpers? So these will attach to a STOCK bumper?? 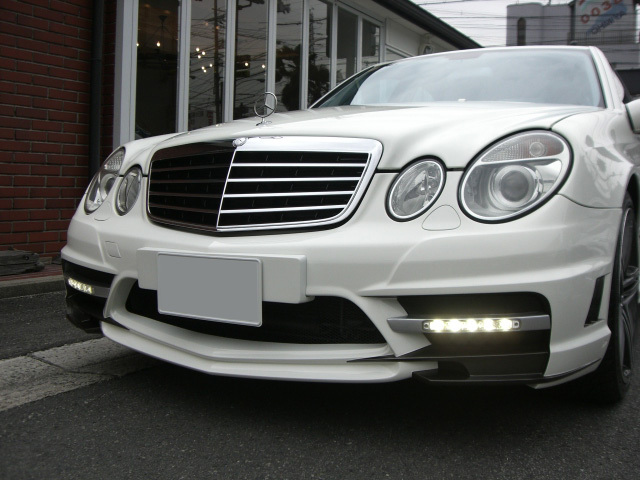 I am in the process getting myself a set as right now for my E55 but with E63 front end. I will let you guys know asap! !